Given the association of Paris with croissants and baguettes, it’s unthinkable to come to Paris without an understanding of how the buttery, flaky pastry and light & fluffy bread du jour are made. 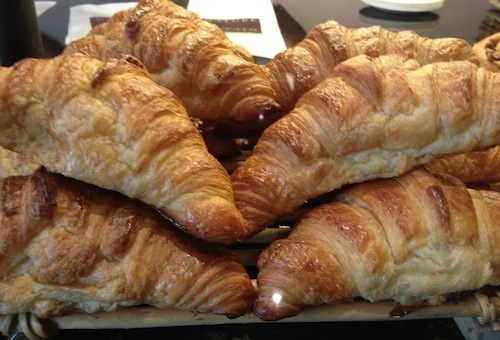 Croissants and other pastries made with puff pastry are known as viennoiseries because they originate from Vienna. 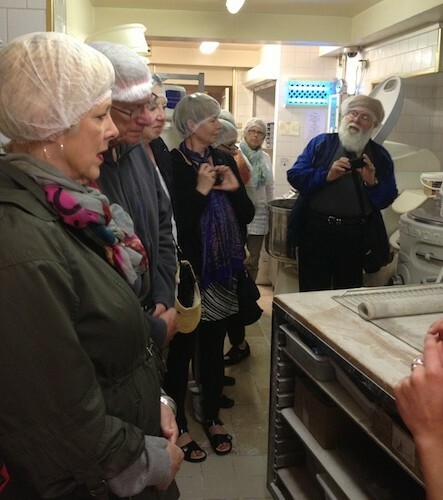 My group delights in a behind-the-scenes bakery tour, where we hover inside a bakery in the 18th arrondissement of Paris to witness firsthand the preparation of baguettes and croissants. Croissants au beurre are made with, you guessed it, pure butter (versus the “croissant ordinaire” made with margarine). How to know the difference? The croissants au beurre are usually an oblong shape, whereas the croissants ordinaire are shaped in the rounded crescent form. If in doubt, ask. 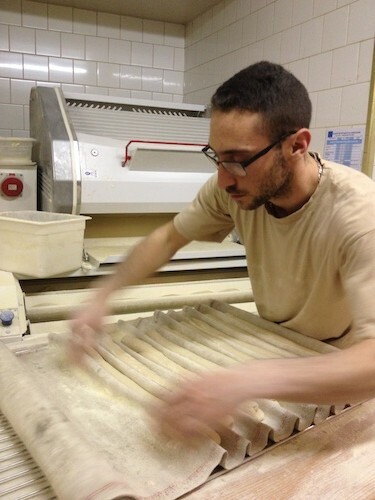 Inside the boulangerie kitchen, we see the inner workings of how baguettes are made. 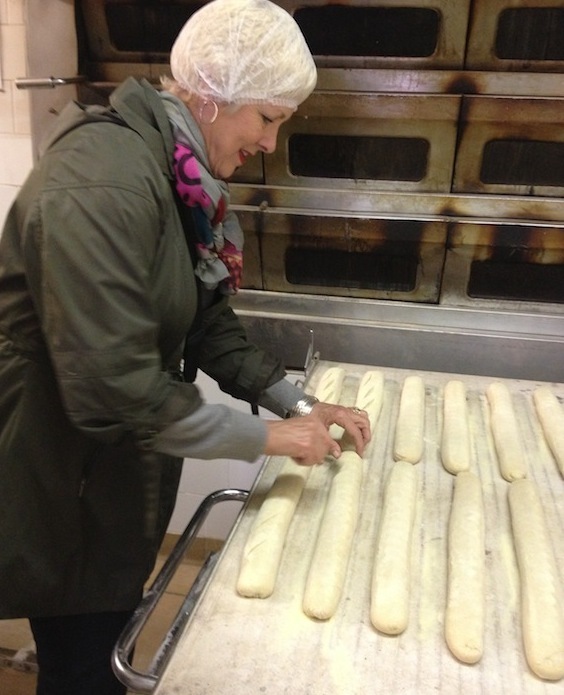 Everyone delights as they become part of the process, slitting the baguettes prior to their baking in the hot, steamy ovens. 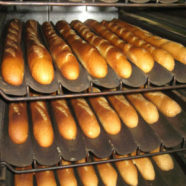 Some boulangeries even have their own signature “slit”.